Well the Champions League Quarter Finals draw has been made and Manchester City face London’s Tottenham Hotspur for a place in the semi-finals. For many this will be one of the best matches of the last eight teams left in this year’s Champions League. Manchester City are chasing four separate trophies in the 2018/19 season. These being the Carabao Cup (The EFL Cup) which they have already won in late February. The remaining 3 trophies being The Champions League, the Emirate FA Cup and the English Premier League. Tottenham Hotspur v Manchester City Champions League match will take place on Tuesday 9th April. It will be held at Spurs brand new stadium at White Hart Lane. on aggregate 4 – 0. Although in third position in the English Premier League Tottenham would love to be the team that knocks Man City out of the Champions League. Two of Tottenham’s key play makers Dele Alli and Harry Kane will be fit again after recent injuries. Manchester City reached the last eight after sweeping aside FC Schalke 04, 10-2 on aggregate over the two legs. This included the 7-0 win at the Etihad Stadium. Man City’s form in recent weeks is starting to mirror their 2017/18 performances when they became practically unstoppable! With a crowd of 60,000 plus fans expected inside Tottenham’s brand new Stadium in North London for the Champions League Quarter Final the atmosphere should be electric. With players such as Raheem Sterling, Sergio Aguero, Dele Alli and Harry Kane on the pitch the football should be end to end and a joy to watch. 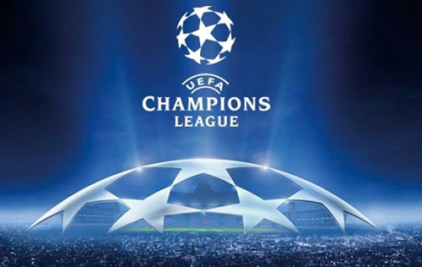 If you are lucky enough to be going to this year’s Champions League Quarter Finals at Tottenham’s brand new White Hart Lane Stadium you might want to consider booking your own private London chauffeur car to take you to and from for the match. At TST Car Services we pride ourselves in providing a range of competitively priced Mercedes Saloons and People Carriers to take you and your guests to and from the match in style.